Friday and Saturday at 8:00 p.m., Sunday at 2:00 p.m. Special event with the author after the May 6th performance! What do you get when you mix 6 women, 2 men and group therapy sessions? JUST WHAT THE DOCTOR ORDERED. A wonderful mix of people trying to work through the ups and downs of their crazy relationships. Come see this hilarious comedy about crazy mixed up relationships and how they are sorted out. Find out why MEN ARE DOGS!!! This will be Chris’ sixth time on the Old Academy stage; it’s been a while since her last performance here as Sandy in Four Weddings and an Elvis. Chris would like to take this opportunity to thank her fabulous sons and their wonderful wives for their constant encouragement. She’s hoping her grandson, known for his many facial expressions, will one day be on the stage at the Old Academy. A big thank you to a wonderful cast and direction/production team for making this such a memorable experience. Chris is the VP of Production here at Old Academy, and he is thrilled to be appearing as Tony in this wonderful production directed by longtime friend Terri Bateman. He most recently directed Outside Mullingar in September and is looking forward to a nice break next season. He wishes to thank his fellow cast members for all the good times we’ve had during this production, and Joe Simonelli for writing such a hit. Enjoy the show! Leah Lawler is a wine sales consultant by day and playwright/theatre artist by night. This is her first time acting on the stage in ages. A Runaway, a Soldier and a Snowball Fight was her first full‐length produced by Iron Age Theatre in the 2016 Philadelphia Fringe Festival. Her first piece, Tropes and Platitudes, was performed as a part of New Voices 2014 at Bucks County Playhouse. She received her BA in theatre from George Washington University. 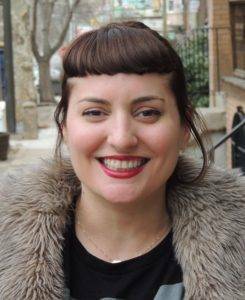 She writes, directs, and acts in an original web series, Bar‐N‐Tavern, and she teaches improv comedy at Penn Memory Center. Marisa is excited to be back at Old Academy Players. Favorite past roles include Maria in Twelfth Night, Gloria in Boeing Boeing, and Hermia in A Midsummer Night’s Dream (Old Academy Players), Violet Beauregard in Charlie and the Chocolate Factory (Plays and Players Theater), and Edward Farpis, the Derelict, in her fourth grade production of Revenge of the Space Pandas (or Binky Rudich and the Two‐Speed Clock). When Marisa is not acting she spends her days working and playing with first and second graders as a Primary Unit Teacher at The Philadelphia School. Many thanks to David for embracing the shenanigans of the moment when a play is the thing. Michele was last seen at Old Academy in God of Carnage as Veronica Novak. Since then, she has played a variety of roles in a variety of theaters, some on the stage and some behind the stage. So grateful and blessed to be part of MAD, Michele would like to thank the entire production for this amazing opportunity. Natalie is excited to be making her first appearance at Old Academy Players. She was last seen at Playcrafters of Skippack in Perfect Wedding as Rachel and A Little Murder Never Hurt Anybody as Bunny. She has previously appeared in Vanya and Sonia and Masha and Spike as Nina, Dangerous Liaisons as Cecile, In‐Laws, Out‐Laws, and Other People (That Should Be Shot) as Tracy, and She Kills Monsters as Lillith, all at Village Players of Hatboro. She is thrilled to be working with such a talented cast and thankful for this opportunity. She would like to thank Eric for his unconditional support and love. 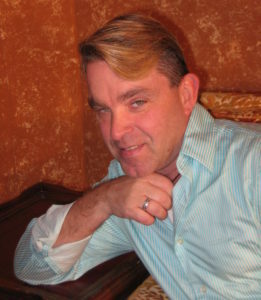 Norman is the President of the Old Academy Players and has appeared in many OA productions and worked backstage in several others. Favorite roles include: Marvin in Four Weddings and an Elvis, Robert in Boeing Boeing, Joe in Skin Deep, and Detective Weber in Earth and Sky. Norman is happy to be working under the direction of Terri Bateman, his first friend at OA. Much thanks to a talented cast as well as the high‐energy production staff. Norman would also like to thank his wife, Justine, for her many years of support in his many pursuits. Tiffany is thrilled to be back on the Old Academy stage. She most recently appeared at OA as Rosemary in Outside Mullingar. Previous appearances include the 2012 One‐Act Bonanza, the 2015 One‐Act Bonanza, and Private Lives. 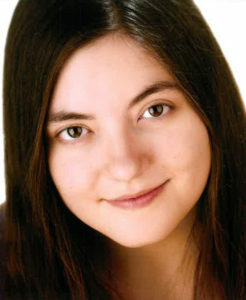 Behind the scenes, she has directed and written several one act plays and produced OA’s 500th production, The Seafarer. She has a BFA in Theatre Arts from Stephens College and lives in Bensalem with her calico cat, Phoebe. Many thanks to Terri for this exciting opportunity! This is Terri’s first foray into directing after a 21‐year absence. Terri was the director of the Roxborough High School Plays for 20 years. She has been involved in theater since high school. North Light Players roles include: Maude Dunlop in The Music Man, Penny Sycamore in You Can’t Take It With You, Abby Brewster in Arsenic And Old Lace, Ethel Rodgers in Ten Little Indians, Delilah in Father of the Bride, and Edith Northrup in Lemonade. Old Academy roles include: Sister Non‐Public (remember the puppet?) in Nunsense, which she also stage managed and choreographed, Sandra in One Flew Over The Cuckoo’s Nest, Karen in Hogwash!, Victoria/Evelyn in Exit Date, Mrs. Trotsky in All in the Timing (producer), Fannie Green in the world premiere production of Seniors of the Sahara, Carmella Delgado in Minor Demons (producer), the peasant woman in Incorruptible, Flora in The Rose Tattoo (producer), Penny Sycamore in You Can’t Take It With You, and Angela Bruno in Bermuda Avenue Triangle (producer). She also played Louise in An Empty Plate in the Café du Grand Boeuf and was a firefly in In the Jar and a mental patient/head nurse in The Interview. Terri was in Nancy Frick’s original play, Waiting for the Fat Lady to Sing. She played Anna in Waiting to be King. She also just produced Boeing, Boeing. Terri played Karen in the original one‐act Planet Radio at this year’s Old Academy One‐Act Festival. Terri produced and choreographed the Holiday Revue Shows. She has been an instructor in Movement for the last 5 years in the Children’s Art Program at OA. She has been in several Fringe Festival original shows since 2006. She would like to thank the cast for allowing her to jump back into directing with such ease. Such a talented ensemble, from her actors to her co‐producers, I thank you from the bottom of my heart. Christopher is honored to be making his Producing debut at Old Academy Players. He has built numerous sets during the 2015–2016 season. He was the Production Assistant earlier this season in The Fourth Wall. He is the on the executive committee as The Fundraising Co‐chair. Christopher has enjoyed working with this extremely talented cast as well as with Annie and Steve Hnatko, Chris Wunder, Tiffany Brink and Terri Bateman. But none of his OA experience would be possible without the support of his family and friends. Christopher dedicates this production to his late mentor Mr. Ted Bateman and his late father, Daniel P. McCollum Sr.
Michelle started as an audience member over 15 years ago and has learned many roles on‐ and off‐stage at OA. She has enjoyed helping Director Terri Bateman and Co‐Producer Chris McCollum bring Joe Simonelli’s play onto the OA stage. The morphing of our cast into their slightly dysfunctional therapy group members will entertain, as you will soon see. She hopes you enjoy watching as much as we enjoyed making it come alive for you. Please tell your friends and family to come if they have a funny bone itch that needs to be scratched. Special thanks to her mom and sister for their support. Special shout out to her OA friends and family too. See you at the theater! Men are Dogs—A-Rooo!